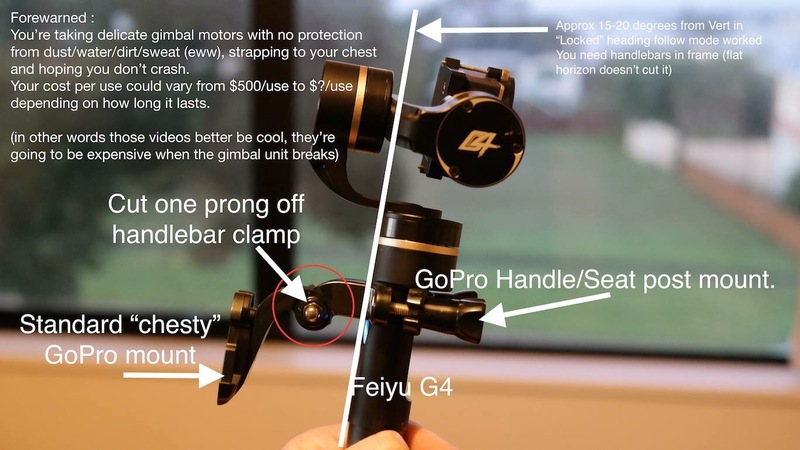 So that whole mount your GoPro to a chest harness and make great footage ? As some kiwis would say “yeeeaahh … nah bro”. Results in terrible bouncy footage and at slower shutter speeds almost unwatchable. 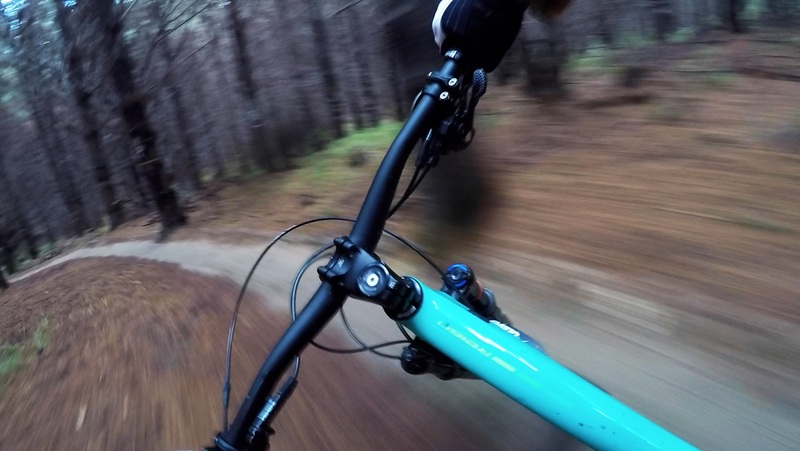 This may be part of the GoPro problem – everyone’s got one, probably 1% of them actually produce watchable footage. Now full credit where credit is due for where this idea came from. I watched this awesome clip last weekend Super Flow – The Endless DH Pump Track and thought “wow that’s what it should be like” (along with “I want to ride that trail!”) Figured out there was some kind of stabilisation going on and backtracked through videos to find out that a “Rider Z1” gimbal was being used at least in some of his other clips. I had a Feiyu G4 in the gadget box so hey maybe that will work ? You’ve been warned. Could be really expensive – but awesome.